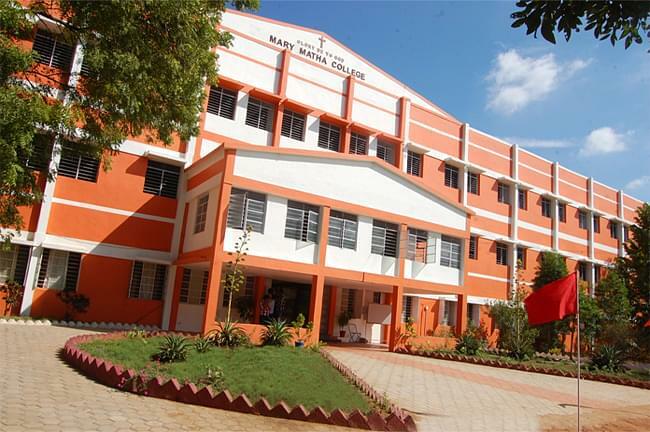 Mary Matha College is run by Bodhi niketan trust and located in city Theni, State of Tamil Nadu. The college is affiliating by Madurai Kamaraj University – [MKU] and approved by National Assessment and Accreditation Council (NAAC). The integral development of students with a harmonious blend of curricular, co-curricular and extra-curricular activities with the motto Committed to Excellence. The vision of college is to educate the human person for the fulfillment of his / her individual and social responsibilities. The mission of college is a nurturing ground for an individual's holistic development to make effective contribution leading to the prosperity of the individual, society and the nation. The hostel has 200 students intake capacity and accommodated now in the furnished boys hostel. The Placement cell conducts regular soft skills and communication training Programme, with special focus on training in Interview techniques.